It kind of reminds of like a tricked out Blackberry 9700 Bold. I think it's kind of cool looking, but painfully ugly at the same time, wierd but theres parts about it I like, but stuff I hate too. The specs are pretty crappy. That's one thing I've never understood about phones on this price range. You drop 4000 bucks for a phone that dose nothing more then what my 200 dollar HTC G2 dose. In fact my G2 dose way more then this. I donno, I still don't get why people buy these things. Even if I had that kind of money I wouldn't get one. Looks like a phone from china.. What the heck was Nokia thinking!?! Looking at the specs... it's basically an E72 with a bunch of sparkly crap tacked onto it. And it costs orders of magnitude more. I suppose I can understand the "premium" phone thing. But this doesn't even look good. I can picture some random rapper with gold teeth and diamond eyelashes owning one of these. Not anyone with, you know, taste. 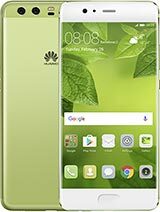 People, this phone are for people who seek stylish phones with no problem whatsoever with price. 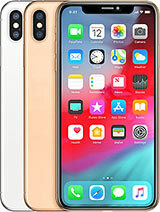 Those of you saying that if you get this for free,you will just sell it and just buy a better phone are poor people. Really. The device itself does not deserve to be held by YOU. aidooon, 22 Oct 2010i will never hold this phone even if it was given to me for free!! pile of rubbish! 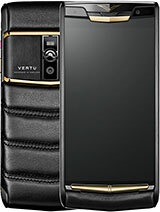 !People like you will NEVER get a FREE Vertu phone, because you will never appreciate it...not to mention you are given one to touch! alex, 22 Oct 2010it looks so.... UGLY !!! OMG !!! the back looks like an alien and the front like 80's Star Tre... moreI guess Alex is one of those people who just have to say something bad. Well first of all this phone was not made for you, therefore shut the hell up. And remember if you can't say anything good, they well I said it before.. I'll say it again: shut the hell up!! Symbian? Well, if I were rich, I would have asked for something better. bradley, 21 Oct 2010looks tacky as all hell i dont understand why people buy these looks like what some cheap na... morewhat planet u came from?? u probably havnt touch this kind of phone yet, or more or less u just dont have money to buy such expensive phone like this. it looks so.... UGLY !!! OMG !!! the back looks like an alien and the front like 80's Star Trek ! what can I say than : UGLY !!! Anonymous, 21 Oct 2010What a tasteless device... 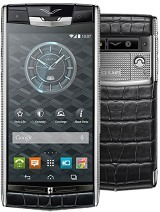 I don't care if it's made of platinum and has diamonds and 100kt go... moreu seemed to be so hating nokia so much!!! i bet u cant afford this phone!! wake up! look at the materials and the style...its more than classy!! !its perfect and perfect for your budget if u can afford!! !if you cant say nice to the product then just respect,,shut up!!! mth, 21 Oct 2010try to copy the nokia e73 but back side looks funny Well I think Vertu belongs to NOKIA!! I think I've read it somewhere. Correct me if Im wrong..
mth, 21 Oct 2010try to copy the nokia e73 but back side looks funny U know that Vertu is for Nokia right? those are the high end models and most expensive in Nokia.